Earn.com is a task-platform where users earn bitcoin for completing tasks. The tasks are offered by blockchain startups doing an ICO and involve things like signing up for newsletters or joining telegram groups. Those blockchain startups are very often in an early phase and Earn.com serves as a marketing tool for them. Some argue that the acquisition was an acqui-hire for Earn founder and CEO Balaji Srinivasan. And Balaji Srinivasan, who has an impressive track record (among other things as partner at Andreessen Horowitz) is now indeed Coinbase’s CTO. Whereas acqui-hiring Balaji Srinivasan might be the acquisition’s real intention, looking at the acquisition in the context of Coinbase’s other acquisitions and their self-imposed company description shows another perspective, namely that Coinbase is building a “crypto empire“ serving a user’s whole „crypto lifecycle“. With Coinbase.com they target average investors who want to invest in established cryptos (established in terms of age and market cap). With gdax they target more experienced traders, again for established cryptos. Blockr.io, the blockchain explorer, is integrated into those services as a feature to help users track their transactions. Finally, Earn.com and Cipher Browser are positioned at the beginning and end of a user’s crypto lifecycle. With Earn.com users are on-boared and hooked into the crypto world through small steps, without risk and most importantly for free. While completing tasks on Earn.com people might learn a thing or two about crypto projects and simultaneously receive money that they can use to invest further; firstly via Coinbase and later on gdax. Moreover, they can buy additional cryptos through Coinbase.com or gdax. Finally, after purchasing cryptos people browse dapps with the Cipher Browser and find applications where they can spend their cryptos. Considering in this context the allegations by Wikileaks that Coinbase has shut down their Coinbase Commerce account, triggers the question of Coinbase’s future position as a gatekeeper. 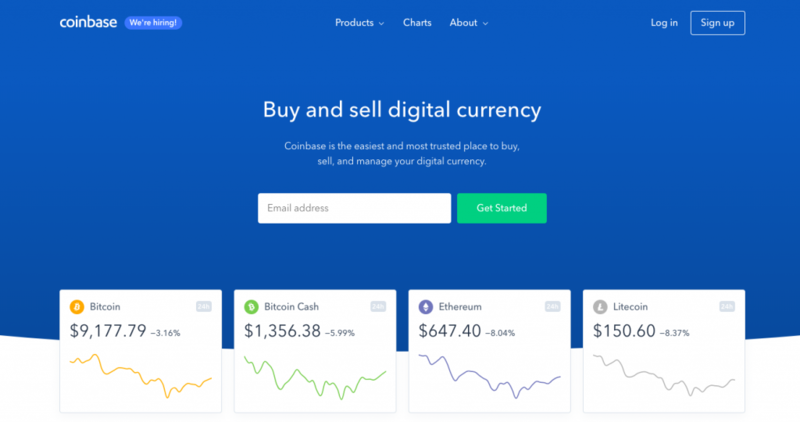 Coinbase.com, Earn.com, and Cipher Browser are all known projects and especially Coinbase.com is for many the first entry into the crypto world. Moreover, rumors about cryptos being listed on Coinbase have lead to them increasing — often rapidly — in price. Thus, it will be interesting to see how powerful Coinbase will get and how centralized the crypto world, in general, will be (comparing to how much is controlled by GAFA). For instance, what if Coinbase tries to start regulating which dapps people see in the Cipher Browser? This would definitely go against the idea of a decentralized Internet and it will be interesting to see what will happen if Coinbase amounts as much power as Apple or Google have with their app stores. Finally, Coinbase’s past acquisitions beg the question of future ones. Continuing with the lifecycle argument crypto inheritance management solutions such as DigiPulse are the first that come to mind.